The Barking Basics!® Dog Leash in Yellow is a durable and classic design that is perfect for any outing. 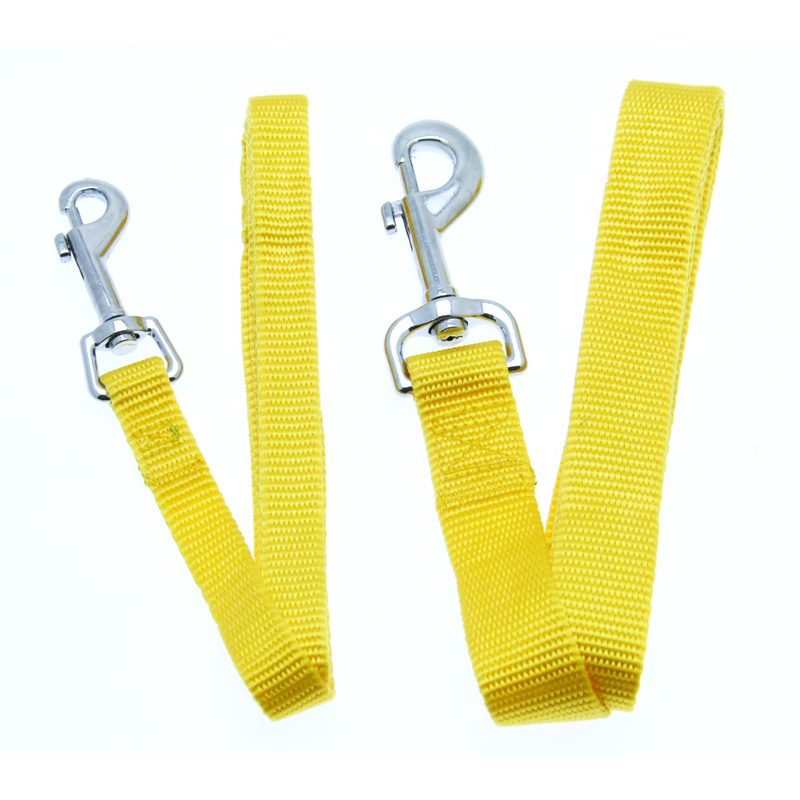 This Barking Basics!® Dog Leash in Yellow is a staple for any dog or cat's walking wardrobe. Each dog leash features a nickel-plated swivel clip for a quick and secure attachment. Matching collar sold separately. This cheery yellow-colored leash is great because it is gender neutral and is easy to spot. It's a nice choice for Easter, Halloween, and Mardi Gras! Our yellow leash and other Barking Basics products will also move your pup to the head of the team by sporting team colors! Football fans that will love our yellow Barking Basics collars, leashes, tanks and hoodies include the Minnesota Vikings and the San Diego Chargers. Baseball fans that will embrace our yellow Barking Basics line include the Pittsburgh Pirates. Check out the entire yellow Barking Basics line for the ultimate in team spirit support from your dog's corner! Very nice , best price! As always the products on this website are great. And they are priced low enough for multiple pet(s) owners. I always shop here for awesome deals, and rewards ! Very nice leash, good value!!! Posted On 09/26/16 by Kathy H from Janesville, WI Yes, Kathy H recommends this product! 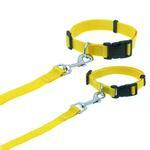 I purchased this yellow Barking Basics Leash to go with the yellow Barking Basics collar. We have to match, don't cha know!!! It's well made just like the collar and a good value as well!!! Thanks again Baxterboo !!! Posted On 08/13/16 by Greg K from Amesbury , MA Yes, Greg K recommends this product! Secure hook to collar, lightweight, though our mega-chewer is getting through it. Posted On 05/04/16 by Joyce R from Sykesville , MD Yes, Joyce R recommends this product! Posted On 02/29/16 by Mary S from Thousand Oaks , CA Yes, Mary S recommends this product! 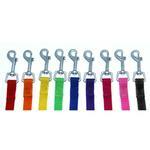 These Barking Basics dog leashes are a bright, happy color, great quality and wear well. Love these leashes! Had to have the yellow too! Posted On 11/12/15 by marsha b from lafayette, IN Yes, marsha b recommends this product! love the two yellow leashes I got for my 2 yorkies, they look great walking them with these leashes - pretty color. Posted On 09/30/15 by BargainHunter from Mineral Ridge, OH Yes, BargainHunter recommends this product! This this a very nice and sturdy leash for relatively inexpensive it was.